When you come to a junction of trails while hiking, snow shoeing, or cross country skiing, it’s often tough to know where you are. Trail signs like this one can be a huge help. The great thing about digitally printing these signs is that you can take a trail or topo map and then put a “You Are Here” designation for the different junctions. I can speak from experience that these are very helpful to people on the trail! 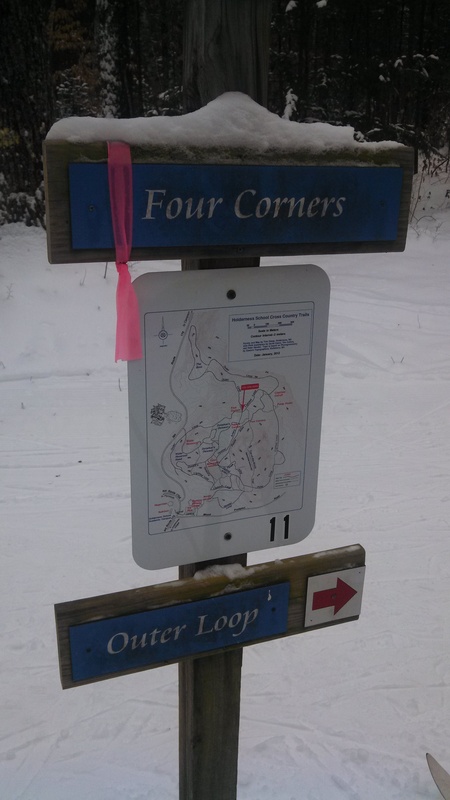 Most organizations have a map of their trails, and we can turn them into s sign very easily. We print on white painted aluminum sign blanks with our UV printer. They come in 12×18, 18×24, and 24×36″ sizes, all with pre-drilled holes top and bottom. The signs are durable and the inks will not fade in the sun. Once concern that I’ve heard is the worry that people will steal the signs. It doesn’t happen, in our experience. To be on the safe side, I would recommend that you use vandal proof screws when attaching to the sign post, you know, the screws with two little holes instead of a phillips head. Even the old square drive screws will do. Nobody brings a screwdriver when hiking, do they? This entry was posted in Flatbed printing and tagged trail map signs, trail signs, you are here signs. Bookmark the permalink.